Gamers who came up in different decades each have their own Bambi's mother. Emotional benchmarks for a generation. In the eighties, it was the game Planetfall and the robot Floyd's sacrifice. In the nineties, it was, what else, Final Fantasy VII and Aeris. For the 00s, it was when Kirkland died in Ghost Recon Advanced Warfighter. Which one of those moments was the saddest? While we're at it, which euthanising of a video game character -- the little sister or the companion cube -- caused the most distress? Think carefully, because emotional responses aren't strictly private and personal anymore. They're another way of saying that a game is good. What does it mean when people say it was harder to burn Portal's inanimate object than it was to harvest Bioshock's little monster girls? Probably not that players finding the latter more troubling are better-adjusted. Compare the two: in a sterile and lonely plaster-white environment, the companion cube is a surprising and welcome curiosity. By the time the player is given the option of killing their first little sister, they've already seen and shot more than enough hideous antagonists. Little sisters fit in, and are already familiar: the moral dilemma which accompanies them is a major focus of the game, the player's seen them before, he knows he'll see more of them. There is, however, only one companion cube. And Portal forces the player's hand where Bioshock does not -- for some, being made to kill a little sister would have been disgusting. If you equate Valve and 2K's design goals with these characters, then this is an argument you can make for the superiority of Valve's approach. You could say all that, you could say that Valve has a better understanding of the player and a better execution of the concept, or you could just say "I cried." To some extent you can't argue an honest reaction, which is why it makes for a good defense. Given context -- two high-profile games with similar moments -- it becomes a contest, because that's the dialogue we're used to. It's a culture of competitive enthusiasm. We can't help compare these things, to try and objectively judge one game as the best of the year or simply better than another (not to mention the Xbox 360 as better than the PS3 version, or vice versa.) 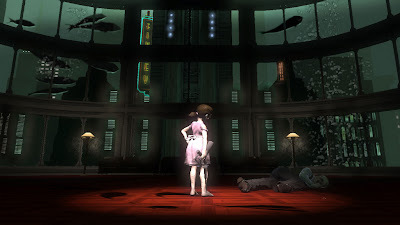 The aesthetics of the little sister are clearly designed to provoke sympathy, and if it doesn't do that, or if it is outdone by a box, then doesn't that say something about the storytelling prowess of these two games relative to one another? You can distill, if all else fails, emotional reactions into objective pros and cons. Which game made you sad? Which one made you laugh? That's the winner. It's the same situation when anyone asks the general question of can/has a game ever made you cry. The answers are always the same: Aeris Gainsborough, '97, Tommy Angelo, '02, and so on. What's happening in this case is that medium is being ranked against all other entertainment. Again, it's a contest: do games, as literature, have the same artistic potential as fiction or film? If the answer is no, then isn't this all a waste of time? No gamer wants to lose that comparison, and will often overcompensate with hyperbole. Video games have always been under siege as juvenile or corrupting so it's hard to blame gamers on that one. Maybe that's why so many communities care so much on sales figures, the great equaliser. In that same far-off wonderland where graphics technology plateaus and developers can make games all about art direction instead of keeping pace with polygon counts, maybe gamer self-confidence will level out too. One day gamers will be able to like the things they like without having to justify them; to react emotionally without having to convert it into debate ammunition. Because isn't it weird that all these guys are talking about crying so much. Let's get back to repressing those feelings. 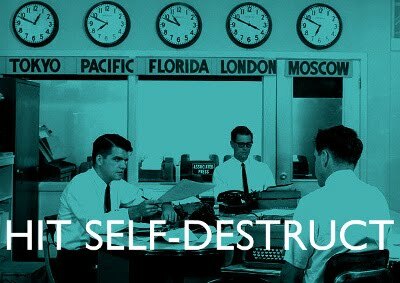 Wait, which one of these these idealistic futures was supposed to be the good one? Really? Kirkland? Tommy Angelo? 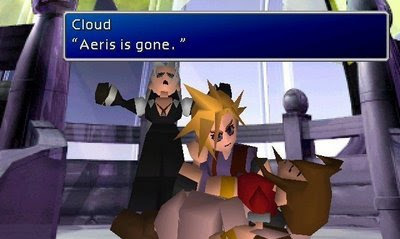 And I thought I was a wuss for crying at Aeris. I'm just teasing you of course. But it wouldn't be funny if it weren't partly true. The fact that a game has made you cry does not therefore mean it is "serious" or "art". All kinds of things make people cry: soap operas on television, dime-store romance novels, intense physical pain, a day that just didn't go right. I of course understand the desire to claim the throne of artistic legitimacy, but "it made me cry!" is not the way to go about doing it, in my mind. I agree to a point. The fact that a scene made you cry could be affected by dozens of external (and non-related) factors. a) the scene acted as the catalyst that made you release these independent and unrelated feelings. b) the scene made you cry because it connected to something about you (you're sensitive, your past allows you to relate to the scene, etc). in either case, the game succeeded. maybe not as art, but in its original purpose: interactive recreation. you played the game, the story progressed, the game delivered emotional content, and you reacted emotionally to that content. now how to define "games" or "gameplay" as an artform? well I guess that's up to smarter people than myself. But if I were to take a stab at it; I'd suggest that artform is achieved when that activity excels at it's purpose. When you feel that 'jolt' of emmotion from a great song/piece, a scene from a movie/game/book/opera/theater, or are just awestruck from a painting or sculpture. I think the point is that games as they are now don't naturally lend themselves to eliciting emotions that make the player cry, while other media have an easier time on that point. The comparison to other media in this regard seems false and senseless. It would be like saying a film isn't art because it doesn't give a sense of exploration and general accomplishment to the public. That's just not within the means of cinema, it would be silly to expect it to. Matthew: I completely agree with you, I've never thought that games making players cry elevates the medium to high art or whatever. As you say, it's a technique the soap opera has easily mastered. I think that's my point, though: behind the question "can a video game make you cry" is the insinuation that if not, video game writing isn't even up to a soap opera level of sophistication. this. And I'll bet that some people teared up at Mafia, although in retrospect I should have put Agro '05. qrter: yeah I really think it's a question people only ever ask because of the medium's relative immaturity, like they're checking in to see if it's living up to its potential. The crying question is a cliche but it's a benchmark people use, at least rhetorically. But the answer to it is obviously yes and as you say it makes no sense anyway. I personally think there have been good video game stories, good enough to feel a lot of emotion over their high points. The thing is, that is more the medium of storytelling (or "narrative" or "narratology") - be it literature, pictures, comics, films, music, or anything else. I think artistically, pure gameplay is already art - and has really always been art - but that's just my opinion :) Immature or not, that's just the case I think. Now, the games that effectively combine the gameplay and story so the high points of such are an extension of both are special cases, perhaps more the intent here? They've probably not reach the potential (there isn't a lot of emergent gameplay storytelling, or dynamic ones based on gameplay decisions). Interesting post. I've had a few game moments I've been quite sad at and had a tear in my eye, but the same with other media, although games are usually more special for the interaction involved even if it is only between the cutscenes.